What makes you most optimistic? When taken as prescribed, SYMTUZA® could help you get and stay undetectable. How to take SYMTUZA®. You should take SYMTUZA® once a day with food at the same time every day. If you’re unable to swallow the tablet whole, SYMTUZA® may be split using a tablet cutter, and the entire dose should be taken immediately after splitting. Just diagnosed? Getting on treatment as soon as possible is very important for your immediate health. Your doctor may have prescribed SYMTUZA® because it contains an ingredient called darunavir. Darunavir is recommended by the Department of Health and Human Services in cases where treatment is to be initiated before resistance testing results are available.1 Your healthcare provider may still test your blood and urine to ensure that SYMTUZA® is the right treatment regimen for you. High barrier to drug resistance. Even if you only miss a few doses of your HIV treatment, you could develop HIV drug resistance. When you miss doses, HIV has a chance to change and outsmart your medication. Your doctor may call this mutating. While some medications may become less effective after the virus changes, SYMTUZA® contains darunavir and has a high barrier to HIV drug resistance, which means it may keep on working even if the virus has changed. The long-term impact of changes in bone health is not known. Proven tolerability. SYMTUZA® is an HIV treatment with proven tolerability. In a clinical trial where patients received SYMTUZA®, less than 2% stopped taking it because of negative side effects. Most side effects were mild or moderate. Possible side effects of SYMTUZA®. Please see Important Safety Information for more details about possible side effects for people taking SYMTUZA®. If you do experience side effects. Talk to your doctor as soon as possible. Do not change your dose or stop treatment with SYMTUZA® without first talking to your doctor. Focusing on a healthy lifestyle is important when you’re living with HIV. Self-care. Self-care is any activity where you take care of your mental, emotional, and physical health. In addition to getting on treatment as soon as possible and sticking with your HIV treatment plan, every step you take to take care of yourself can make you even more resilient against HIV. Staying on track. Taking your treatment exactly as your healthcare provider prescribed can help you reach and maintain your treatment goals. You can also download the SYMTUZA® Lab Tracker to monitor your CD4+ cell count and viral load each time you get your lab results back. Once you and your healthcare provider have decided SYMTUZA® is right for you, Janssen CarePath will help you find the resources you may need to get started and stay on track. We can identify cost support options that may help with managing your out-of-pocket costs — whether you have commercial or private health insurance, government coverage such as Medicare or Medicaid, or have no insurance coverage. Janssen CarePath can review your health plan benefits and insurance coverage for SYMTUZA®, and offer treatment education resources. We understand how important it is for you to take your Janssen medication just as your healthcare provider prescribed. Janssen CarePath provides ongoing support to help you stay on track with your SYMTUZA® treatment. If you don’t have commercial or private health insurance, you may find help from the programs and resources found on www.JanssenPrescriptionAssistance.com. 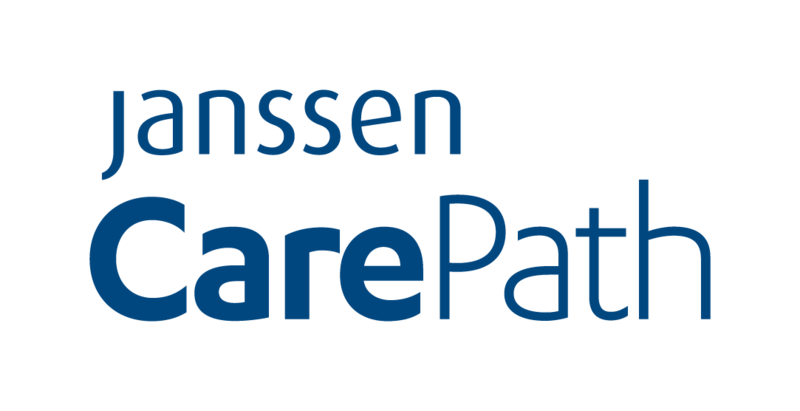 Call a Janssen CarePath Care Coordinator at 866-836-0114, Monday-Friday 8:00 am to 8:00 pm ET. Multilingual phone support is available. Set up a personal Janssen CarePath Account at www.MyJanssenCarePath.com where you can: check your insurance coverage for SYMTUZA®; if eligible, enroll in the Janssen CarePath Savings Program; and sign up for treatment support. The Johnson & Johnson Patient Assistance Foundation, Inc. (JJPAF) is an independent, nonprofit organization that is committed to helping eligible patients without insurance coverage receive prescription products donated by Johnson & Johnson operating companies. To see if you might qualify for assistance, please contact a JJPAF program specialist at 1-800-652-6227 (Monday-Friday, 9:00AM-6:00PM ET) or visit the foundation website at www.JJPAF.org. Keeping in touch with your healthcare provider. Even if you’re confident you can stay on track with your medication, your healthcare provider will continue to play a very important role in your treatment journey—especially if you miss a dose or experience side effects. Stay in touch with them so you can partner together and keep on fighting HIV. The HIV community is stronger than ever before, and there’s support in so many different places. Support from family and friends. Support is often closer than you think, especially with your family and friends. While some people may need more time to understand what you’re going through, having at least one family member or friend become part of your support system could greatly strengthen your journey. The community has your back. The HIV community knows its power and resilience comes in numbers. Check out community centers and HIV health centers in your areas, as well as the many medical, emotional, and financial support options for HIV online. It’s very important to take SYMTUZA® exactly as your doctor prescribes to continue fighting your HIV, but sometimes that’s easier said than done. Learn more about staying on track, why your doctor may have prescribed SYMTUZA®, and lowering your risk for developing drug resistance. How to stay on track. Think of things that could help you make SYMTUZA® part of your daily routine. For example, because SYMTUZA® needs to be taken with food at the same time every day, try taking it with breakfast or dinner. There's also the Care4Today® Connect app for your smartphone and computer that can help you balance your treatment tasks and stay on track. It’s natural to have some concerns about how your body will respond to a new HIV medication. Your resilience has gotten you this far in life, and it can take you further wherever you’re at on your treatment journey. Self-care No matter how big or small, any activity where you set aside time to take care of your mental, emotional, and physical health is important. *Always consult your healthcare provider before starting any exercise or nutritional program. Getting on treatment as soon as possible and staying on treatment are also important to self-care—for your health. Your doctor may have prescribed SYMTUZA® right after your diagnosis because it contains darunavir. Darunavir is recommended by the Department of Health and Human Services in cases where treatment is to be initiated before resistance testing results are available.1 Your healthcare provider may still test your blood and urine to ensure that SYMTUZA® is the right treatment regimen for you. Check out community centers and HIV health centers in your areas, as well as the many medical, emotional, and financial support options for HIV online.